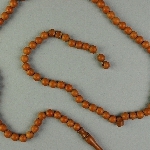 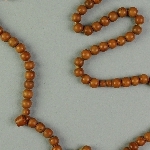 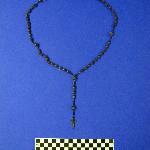 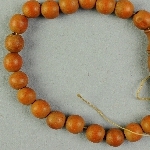 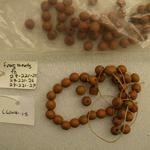 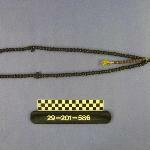 Buddhist Rosary (per original card). 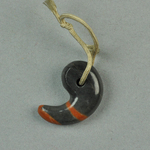 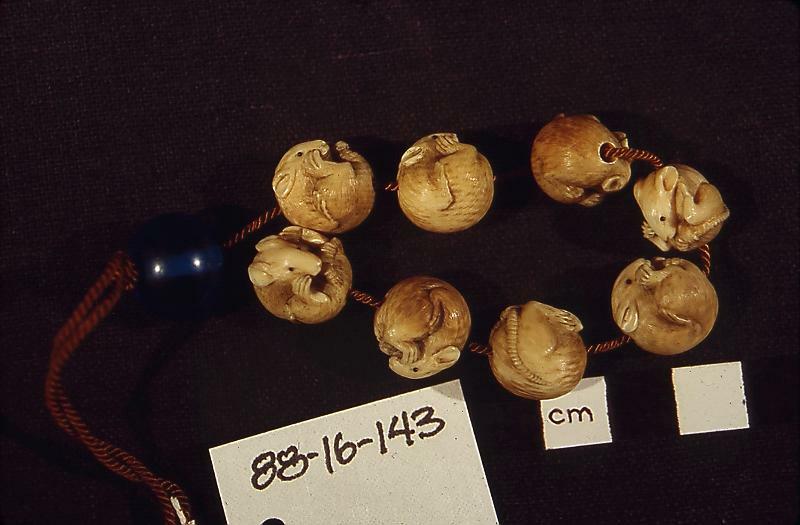 Eight ivory beads carved in form of mice. 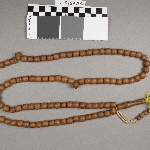 One blue glass bead is also attached - all are on one string.